ProCourt Mini Foot-Tennis Training Net for indoor or outdoor use. Net height can be raised from 2.6ft to 5ft, with lengths of 10ft, 20ft or 30ft to choose from. All it takes is a single included pole to raise the height of the net from 2.6ft to 5ft. This functionality provides an extra challenge, allowing for games of Footvolley to take place. The high value football net provides multi-skill training due to this variable height, allowing coaches to work on many different skills. Not only is a high quality and durable football net with high-vis banding included, but the set also comes with metal posts and a convenient carry bag. 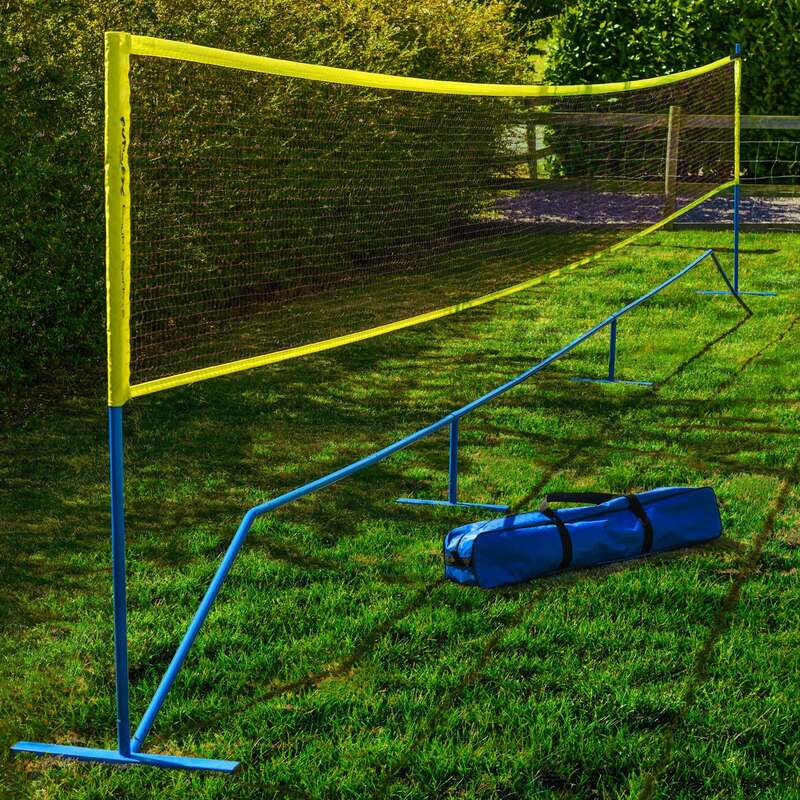 With everything included you can get the foot-tennis action underway in an instant due to the quick and easy assembly of the posts and net combo. Versatile in its many uses, the mesh net and metal posts combination is both heavy duty and light in weight, promoting high levels of durability as well as portability. The low-maintenance football net is suitable for repeated use on different playing surfaces, capable of being carried with ease. Whether you’re looking for a cutting-edge piece of football training equipment or a fun back garden game, the football tennis net will lead to enjoyable and worthwhile skill development. Perfect for working on first touch and volleyed passes, the tennis net for football is the best way to freshen up your training regime. A multi-skill football training tool, this advanced training drill has been used to Premier League and international teams to mix up their training sessions. The football net adds an element of fun to any training session. The lightweight netting is also high in durability, providing years’ worth of football training sessions. This innovative post and net combination is exceptionally simple to assemble and take down, making it perfect for use as and when the mood strikes. Adjust the height from 2.6ft up to a staggering 5ft with ease thanks to the included metal poles. You can choose to apply this football training net to kids, juniors or adults by selecting the relevant length. 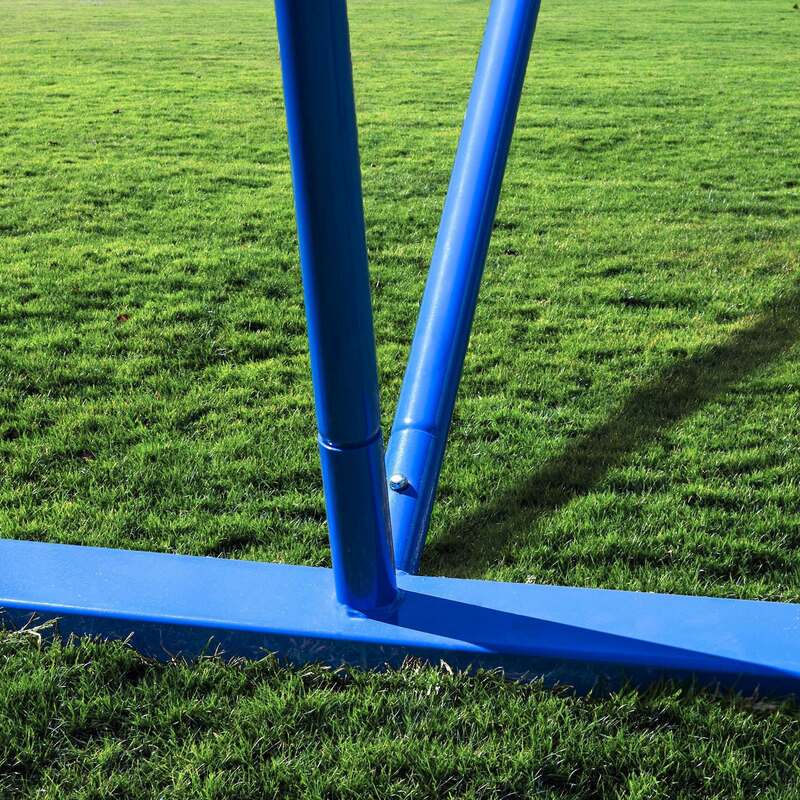 The football trainer comes in lengths of 10ft, 20ft and 30ft, providing an entertaining challenge to players of all age groups. Featuring a handy carry bag, the portable foot-tennis net can be stored and transported between playing surfaces with ease. Capable of performing on all surfaces, the versatile tennis football practice net will raise your game to new heights.